Chickadvisor has a new Product Review Club for Hellmann's Mayo! 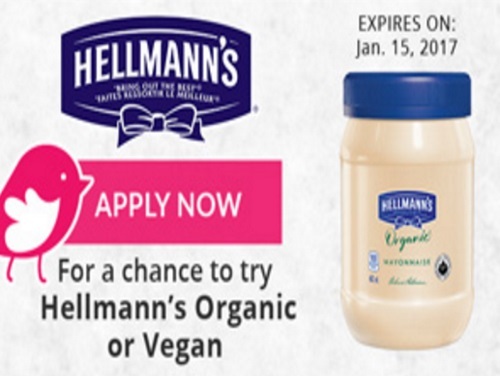 100 Canadian women from Chickadvisor's Product Review Club will get the opportunity to try either Hellmann's Vegan or Hellmann's Organic. You have until January 15, 2017 to apply. Selected members will be contacted by email during the week of January 16, 2017. Remember to add "PRC@ChickAdvisor.com" to your email address book to ensure that you receive all future communications.